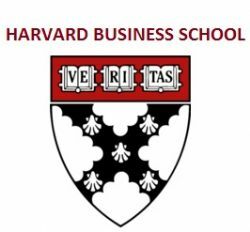 I’m excited to announce that I’ll be embarking on my next big adventure in the fall: Harvard Business School. I feel lucky to have such supportive friends and family, and I have a few more important life milestones to achieve before I head to Cambridge in September. To say that the last 3 years at Twitter have been transformative would be an understatement. Twitter has completely changed my world view: the people I’ve had the opportunity to work with, the ability to help grow a business from a promising new entrant to a $1b+ annual market definer, and the experience of watching a product change the world have all been breathtaking. I feel especially honored to have been coached by the best and brightest in this industry, and without question the nicest, most supportive and innovative people I will ever have the opportunity to surround myself with. Furthermore, I am humbled by Twitter’s continued commitment to its values, most importantly growing our business in a way that makes us proud. I feel proud to represent the blue bird, and that will not stop despite the change of scenery. I’ll be taking these next two years to figure out what the next steps are for me professionally (and documenting it along the way!) Business school is a time to learn, meet people, and reflect on what I expect will be fun career choices to come. In the meantime, you can expect that I’ll be live-Tweeting the whole thing, so follow along here. Congratulation for the new adventure in life! I came across your blog about how to take the leap from from banking to tech yesterday. It was well written and very insightful ! As an engineer working in finance and investment over the past six years, I lost my passion and depleted my excitement for changes. Over the past year by working with many passionate entrepreneurs on creative ideas to change the world on the side, I realize one thing: I need to find something I deeply fall in love with. Cause the truth is, there’s no sense living your life without this. To make the journey and not fall deeply in love, well, you haven’t lived a life at all. I think your article really helps me formulate right strategy to make it happens. Have a wonderful life in adventure. I Think You will Do Just Fine on Your New Journey To your Masters Degree or your PhD. Keep Yourself Humble and Know That GOD Loves You and Gives You Your Smarts. C.E.O. Edward Wayne Wilkins Jr.